One of the few Lao food obsessions is with the quality and variety of rice. Since rice is a food staple in Laos, it's no surprise that the market has some food vendors specializing entirely in rice, as shown here in this picture. 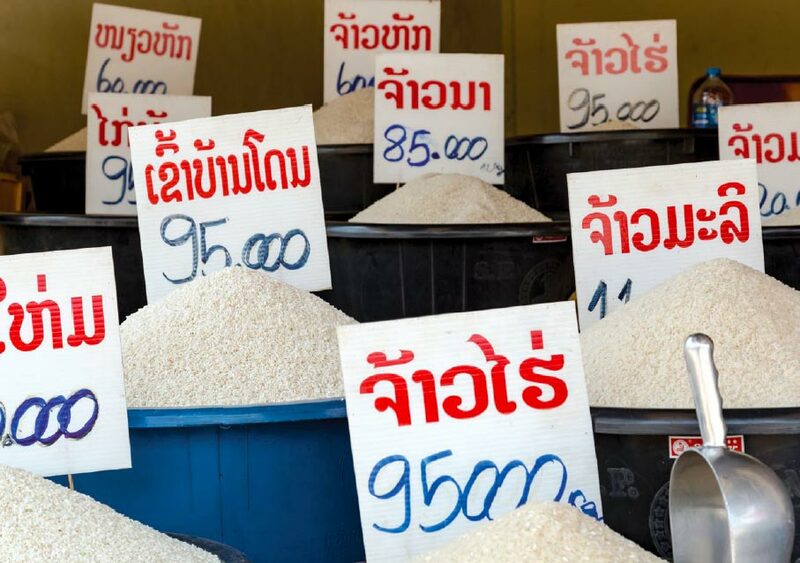 In this picture alone, ten varieties of both sticky and steam rice are shown with varying prices per kilogram. Can you name them all?